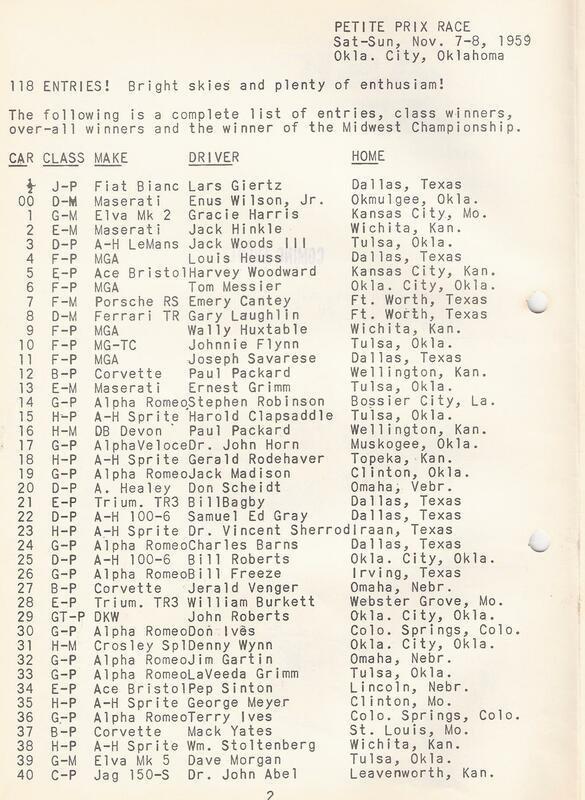 Editor's Comments: For 1959 Oklahoma Region had two races scheduled, one in June and one in November. 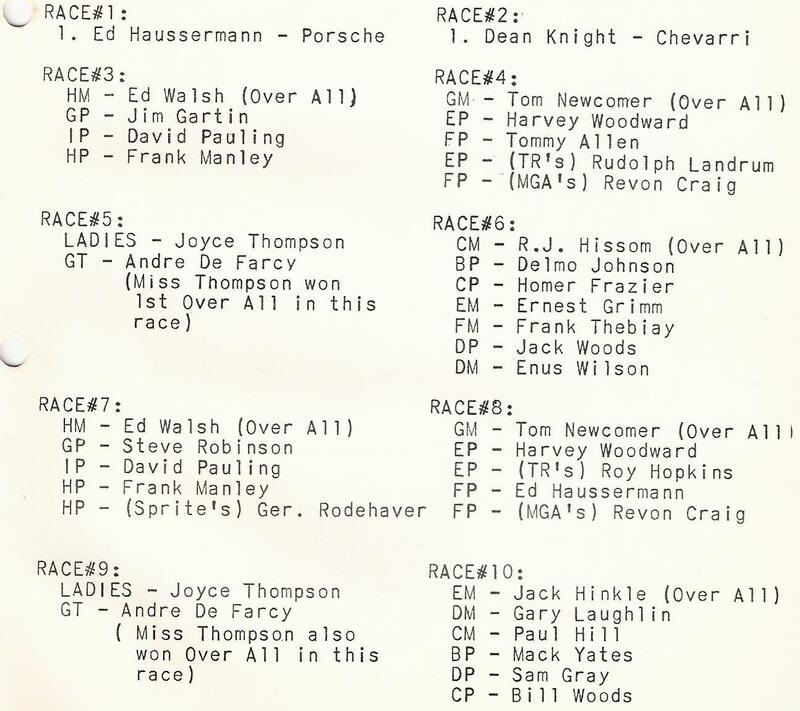 The June race was scratched, and some doubt as to having any races was noted in the Gazette. The Regional Executive, Ray Herndon, remarked after the June race was cancelled, that the November race was still on, but "it won't be in Oklahoma City." However by September the Second Petite Prix was a go, for again at the Oklahoma City Fairgrounds. I couldn't locate a course map, but it had changed from 1958 as the Start/Finish was moved from the Jaycees Drag Strip to the boulevard connecting the Arrows to Atoms Tower with the midway. The following story and photos are from the November, 1959 Gazette. 118 Entries ! Bright Skies and Plenty of Enthusiasm ! 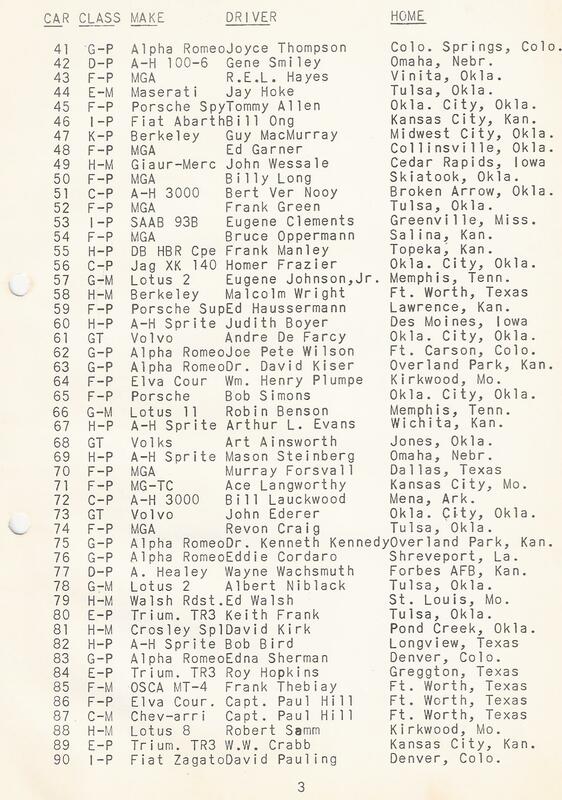 If the number of cars entered in a race mean anything, ours was undoubtedly a HUGE success. 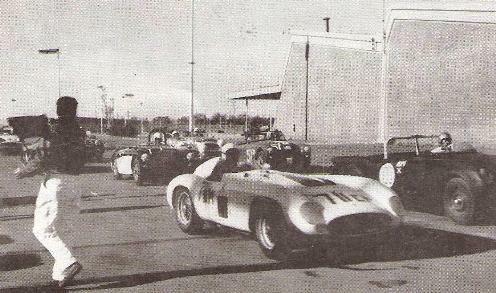 Because of the tremendous turnout, the race schedule had to be lengthened to accommodate the large entry. Fortunately, no one was mortally or seriously injured, despite a few collisions and one upset. The Sponsor was pleased with the results and is anxious to make the race Annual with hopes also for two (2) a year. Oklahoma City is fast moving in the Automotive Racing field, with National Drag Races, Stock Car Races and now an excellent Sports Car Race that we of the Oklahoma Region can be proud of. 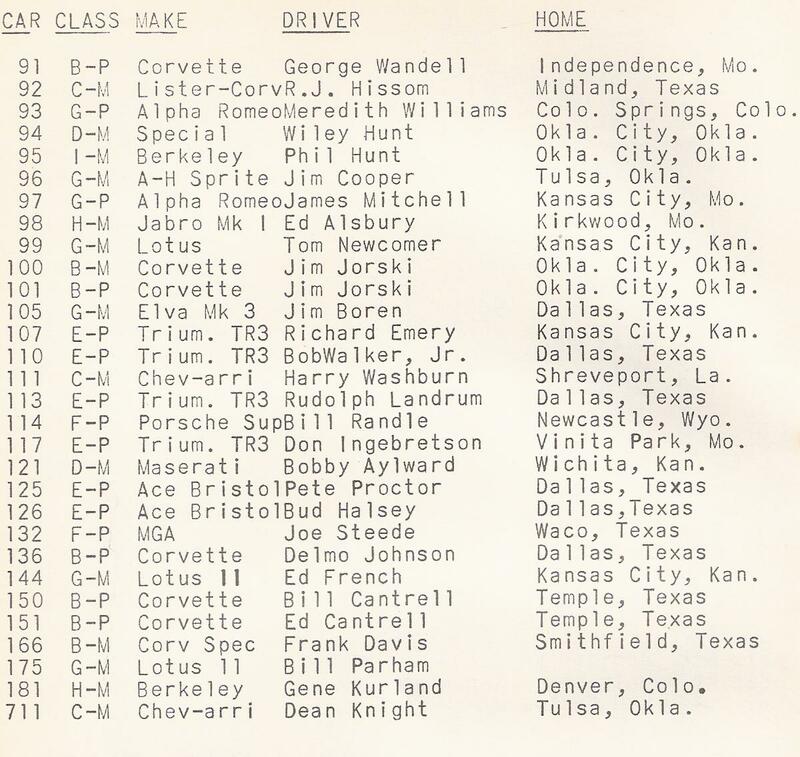 The following is a list of the individual race winners (overall) and class winners of the same race. 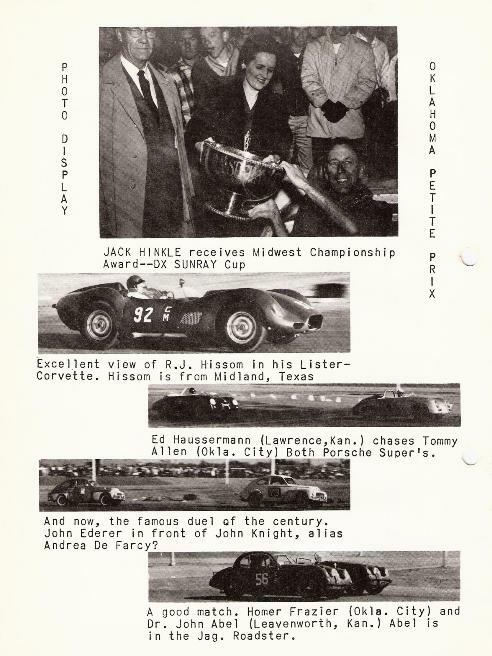 Apparently Oklahoma Region was still co-opting the Petite Prix with NEOKLA as shown in this Treasurer's Report from the February, 1960 Gazette.